Above images copyright © Guido Mencari. No reproduction of any kind is allowed. When we are understood, we are at home – so here we dwell. 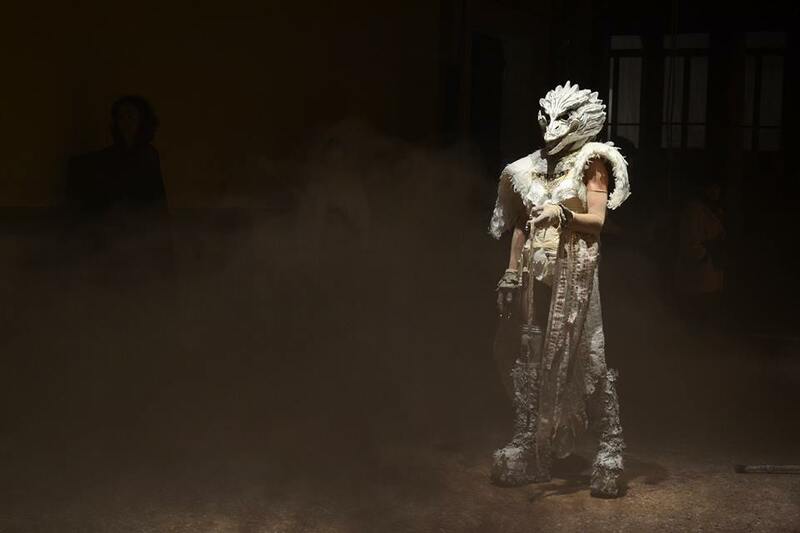 As the start of a new series of live projects entitled BODY MATTERS, the Venice International Performance Art Week presented on Saturday, December 15, 2018, a four-hours public event at the historic premises of the European Cultural Centre | Palazzo Mora, Venice. 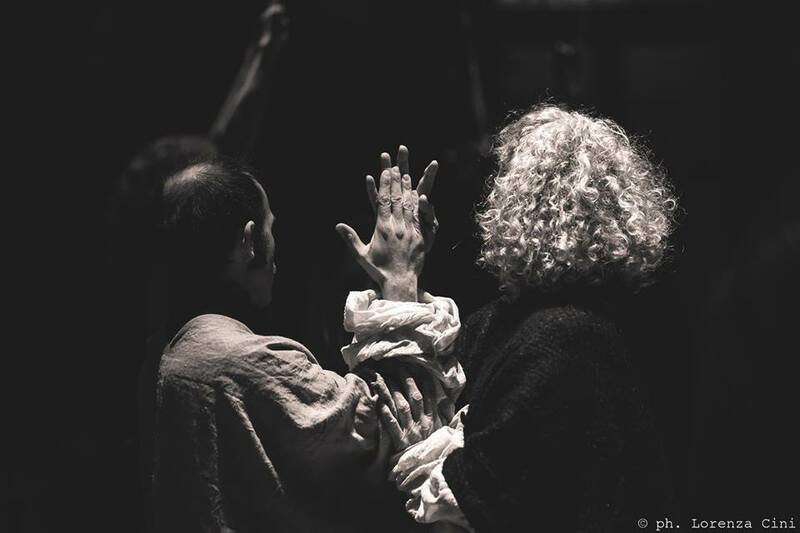 Anam Cara – Dwelling Body is a live collective performance opera by the artist duos VestAndPage and Andrigo&Aliprandi, in collaboration with Francesco Kiais (GR/IT), Giorgia de Santi (IT), daz disley (UK), Marisa Garreffa (AU/IT), Fenia Kotsopoulou (GR/UK), Pavlos Kountouriotis (GR/BE), Ashley-Louise McNaughton (UK), Enok Ripley (CA), Sara Simeoni (IT/DE), Mauro & Matilde Sambo (IT), Marcel Sparmann (DE), Susanne Weins (DE), Sabrina Bellenzier (IT), Gülbeden Kulbay (SW), and under the technical direction of Giovanni Dantomio – We Exhibit. 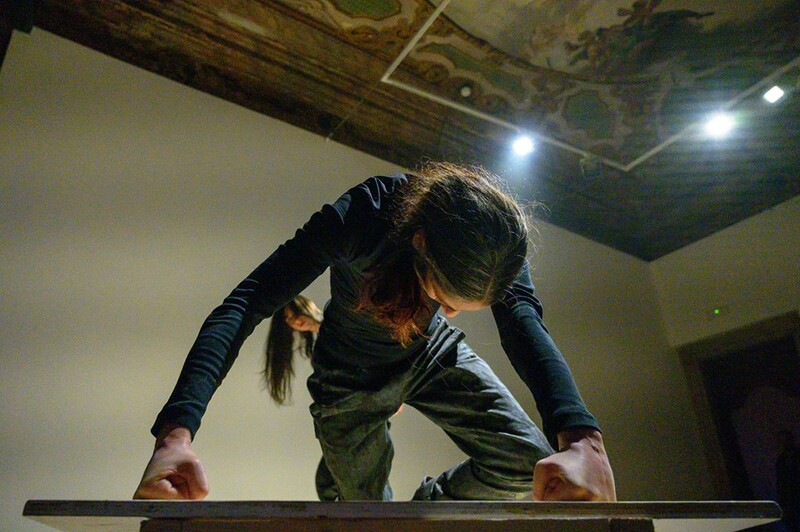 On this occasion, Palazzo Mora’s main hall and its six adjacent rooms transformed into a dwelling site of interconnected performance installations, where temporary, intensive co-creation processes aim to reveal qualities of existence. As the title Anam Cara suggests, the artists – soul friends – gather and unveil hidden intimacies of their lives. They perform to find and draw from a common origin, their bodies engaging in acts of recognition and belonging. Anam Cara cuts across the normative, morality, categories of thought. The soul is uncaged, free from constraint, to foster companionship. An absolute "I" is unthinkable, for the "I" is social. When more people share their sensory perception of the reality and live it as a felt mutual experience, the mirror of Narcissus falls into pieces: individual selves become relational and call for the collective, having no more reason to determine their singularity. In a performance opera, visions are like threads that intersect with one another in an interweaving of lives and biographies, destinies and dreams, performed without a preconceived design. Both artists and the audience become part of an existential fabric, which consists of a performatic crossover of systems and patterns in an ever-changing reconfiguration of the notion of coexistence. Castling under the weft of ephemeral scenic compositions woven of existential paths and with a non-linear narrative, the artists are absorbed into one multifaceted Dwelling Body, where the form, the image, the language, the gaze and the understanding simultaneously harbour to find shelter. Anam Cara – Dwelling Body does not take place in a univocally descriptive or representative staged act. It follows a non-linear narrative structure, which develops through time-based interaction between the artists and the viewers, so as between people and cultures. Eventually, it is a founding aesthetic momentum where actual places, metaphorical places, invisible places and imaginary places are home of a perceptual itinerary, which the artists and those who will come to attend will shape in the now. + READ: daz disley "Dissecting Anam Cara – In Between the Senses, Togetherness and the Quantum" This changes nothing for it changes everything. So touch Me: for real. + READ: Ashley-Louise McNaughton "Dear Anam Cara"
German artist Verena Stenke and Venetian-born artist and writer Andrea Pagnes have been working together since 2006 as VestAndPage in a collaborative practice encompassing live performance cycles, performance-based film, writing, publishing, and temporary artistic community projects. 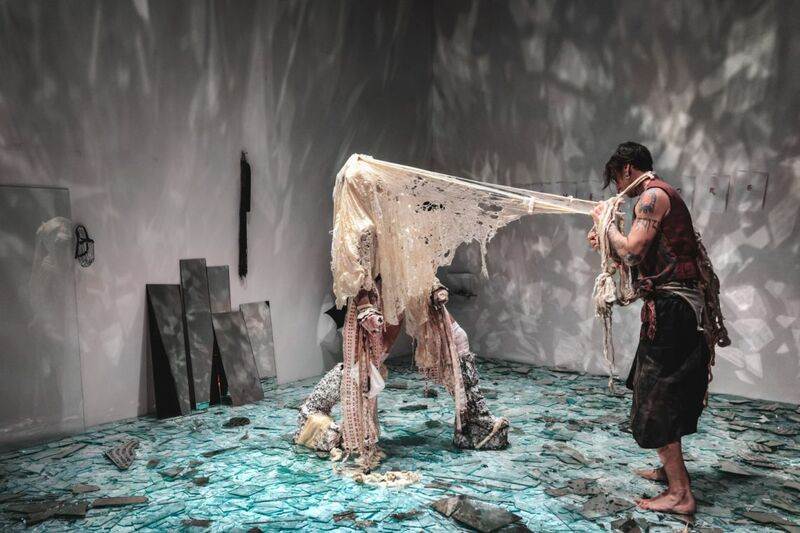 Since over a decade, they have been exploring performance art as a phenomenon through their artistic practice, theoretical artistic research, and curatorial projects. Their writings have been translated into various languages and extensively published in books and magazines of contemporary art. They are the conceivers and the independent curatorial force behind projects such as the Venice International Performance Art Week. Their art practice roots in contemporary visual and conceptual art; classical, oriental and social theatre; philosophy, anthropology, anthropoetics and political science. The study of rites, myths and spiritual-philosophical sciences – particularly alchemy, ancient Greek and Christian iconology, Yoga darsana, and Sufism – animates their nomadic and confrontational spirit. Contextual and situation-responsive, their works are conceived psycho-geographically in response to social contexts, natural surroundings, historical sites, and architectures. In a "Poetics of Relations", VestAndPage examine notions of perception, memory strata, communication and fragility of the individual and the collective within social and environmental spheres. 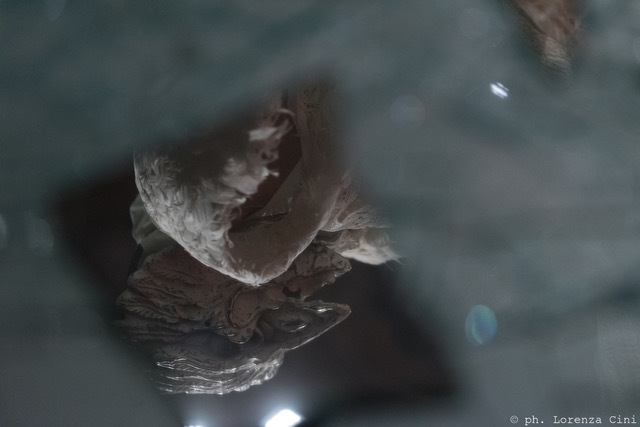 They apply the themes of pain sublimation, endurance, union, trust in change, and risk-taking with a poetic bodily approach to art practice and a focus on universal human experiences. Dancer and performer Marianna Andrigo and multimedia artist and sound performer Aldo Aliprandi have been collaborating since 2009. 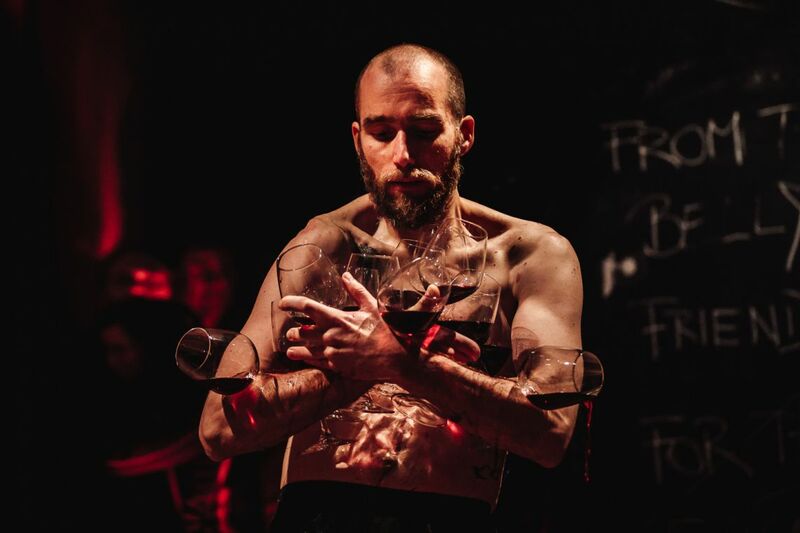 Their oeuvre and artistic research intertwine various performative languages, deepening the relationship between body movement and sound-motion. Andrigo & Aliprandi's live performances are mainly conceived site-specific, often in places characterized by the full verticality and the consequent shiver of vertigo that it produces. In their reference landscape, they move between philosophy, theatre, sound and movement experimentation by investigating an aesthetic that falls in love with detail and silence, as well with entropic dynamic energy moved by emotions as enlightenment in the creative process. They are the directors of C32 performing art work space at Forte Marghera, Mestre-Venice, the cultural association Live Arts Cultures, and core-partners of the Venice International Performance Art Week since its inception. Italian artist, independent art writer, and curator Francesco Kiàis is currently based in Athens. He is the co-founder and director of the initiative [mind the] G.A.P. - Gathering Around Performance, as well as an associate curator of the Venice International Performance Art Week. 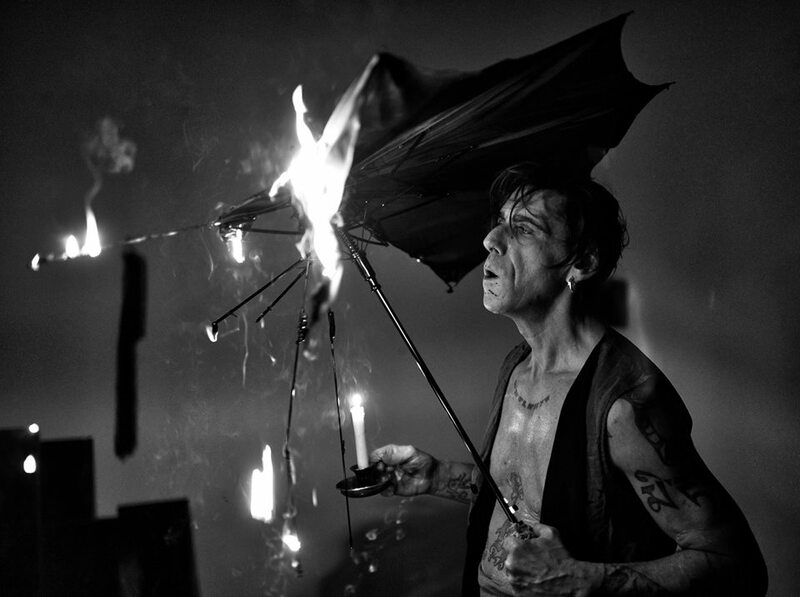 His artistic practice consists of ephemeral installations, video, and performance art, and focuses on the dialogue between contrasts and differences, bringing site-specificity, and people's memories to be poetically activated in an individual and collective ritual, played on the ground of the mutual presence. In this process, all media and materials can be used. In the last years, Kiais collaborated with different educational programs both as a theoretician and as an artist, holding workshops and lectures, also for several universities. Italian artist Giorgia de Santi studied Visual and Performing Arts at IUAV University and Centro Teatrale di Ricerca in Venice. They worked in Bucharest leading an expressive/research atelier with artist Arianna Marcolini, in the framework of Parada Foundation. Currently, she works as an exhibition handler for La Biennale di Venezia and GAA Foundation. 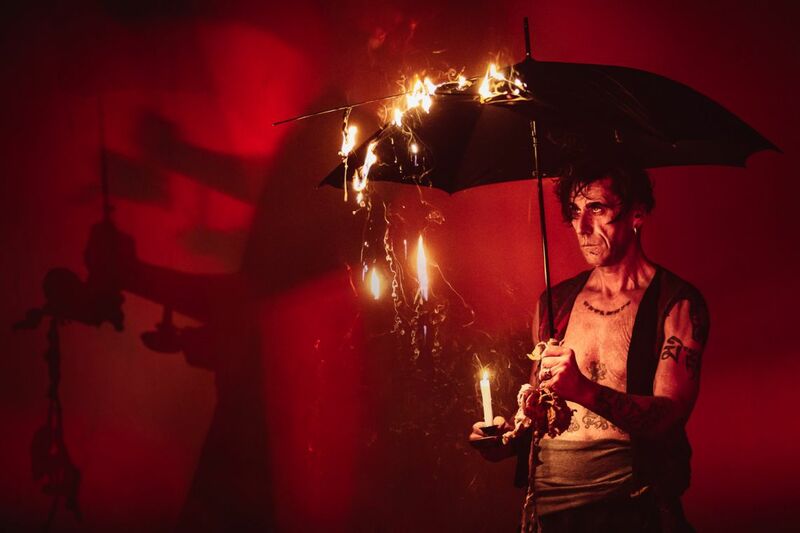 Since 2012, he has been working for and performing at the Venice International Performance Art Week, and is an active member of the non-profit Cultural Association Studio Contemporaneo. Their performance practice develops from the urgency to inquire and display the complexity of different bodies and identities. Between activism and performance art and with humbleness she acts and calls for non-binary possibilities, where he tries to honor diversity. 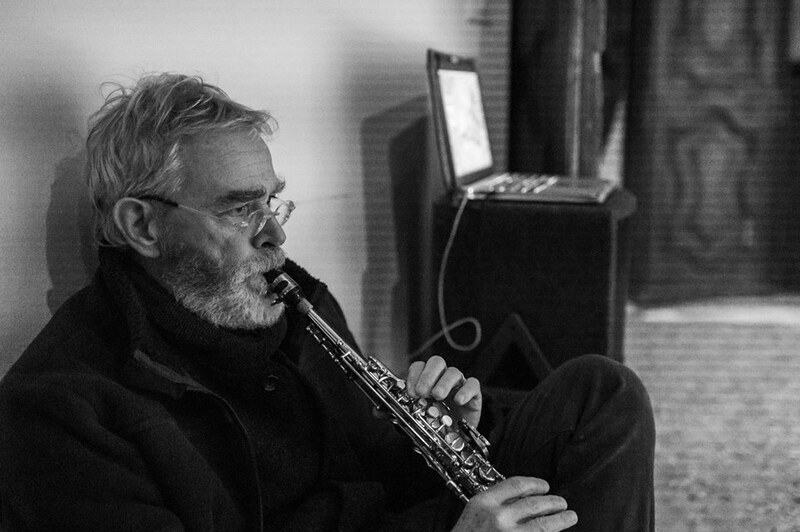 daz disley is a British musician, producer and audio-engineer working in the field of sound art and software development. He has been involved in back-end production and design in the worlds of recording, educational-publishing, marketing, and media-production. 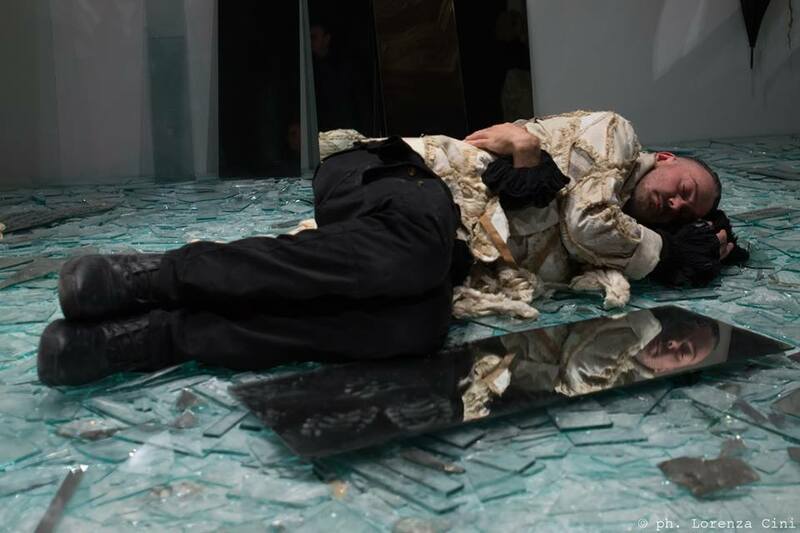 Since several years, he is producing works in the fields of video-dance and performance for the camera, along with experimental technology-related image-making. 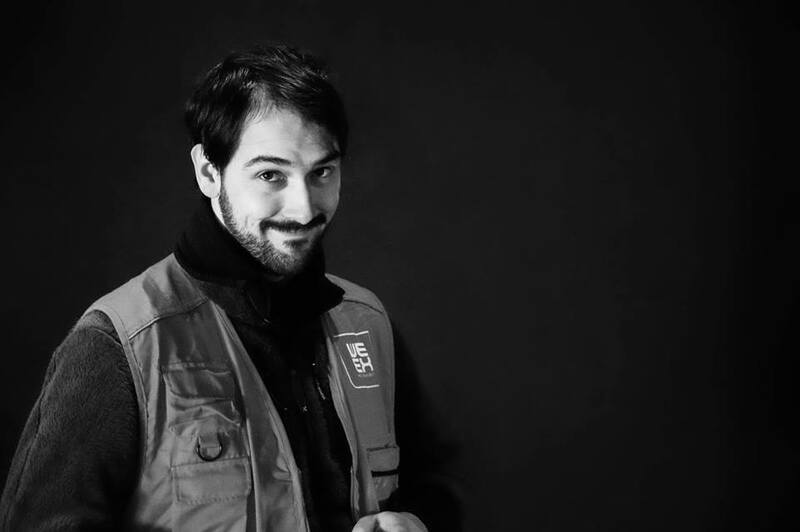 He is a board member and resident artist with the organization SlumGothic, working with disadvantaged communities in Gainsborough, Lincolnshire, to leverage arts and art practice as social-glue, and regularly gets involved in delivering events and festivals at x-church. 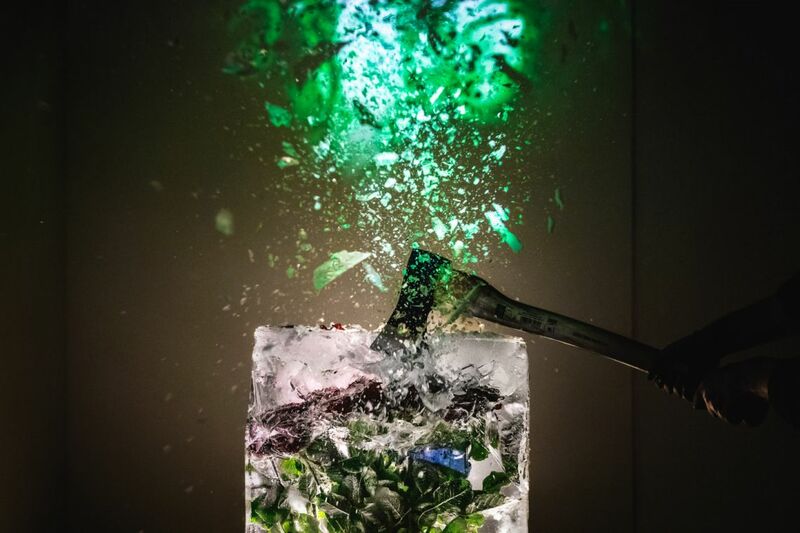 His creative practice experimentally investigates time, often using musical-perspectives to make images and video. 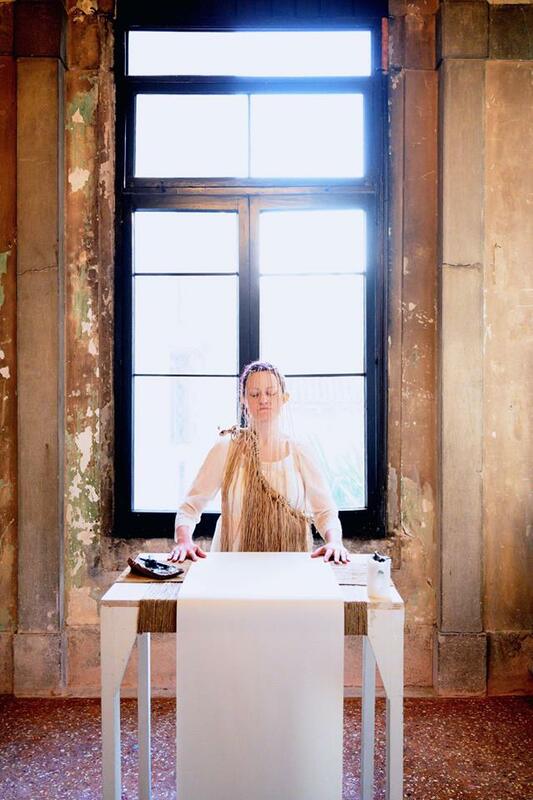 Marisa Garreffa is a writer and performance artist from Perth, Australia, living in Florence (IT). 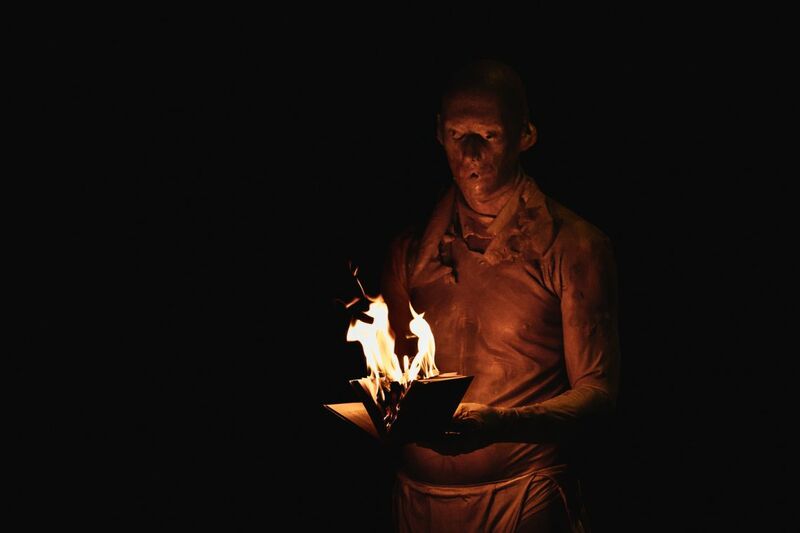 In Australia she created theatrical and performance experiences, combining storytelling with immersive art installation and ritual. She has performed her works across Australia, Asia, and Europe. Garreffa's Rituals of Healing Cycles are physical expressions of the moment by moment response to waves of emotion and re-comprehension of one's life after a traumatic event. By purposefully passing beyond traditional paths of recovery dialogue within a clinical environment, Garreffa creates new forms of physical linguistics, sharing her individual and our universal experience of traumatic events in order to rediscover a sense of peace, humanity, and being. She presents talks at schools and universities educating young people about what to expect and what to do in the case of sexual or violent assault. She is the founder of the Open Mic at Tasso Hostel series in Florence, now in its third year. 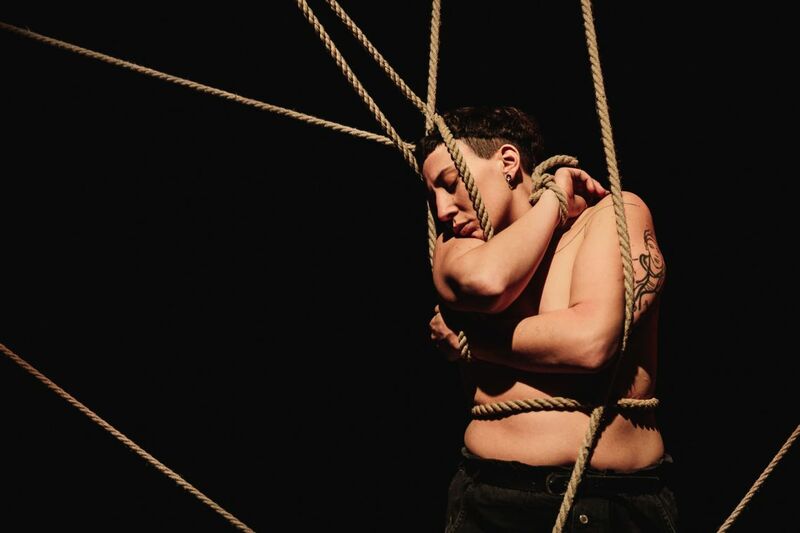 A Greek cross-disciplinary artist who straddles performance art and site-specific performance, dance, and videography, Fenia Kotsopoulou currently lives in Lincoln (UK) where she graduated from University of Lincoln's MFA Choreographing Live Art. She holds a BA honors in Dance from the National Dance Academy of Rome (IT) and a BA honors in Italian Literature and Language from the Aristotle University of Thessaloniki (GR). 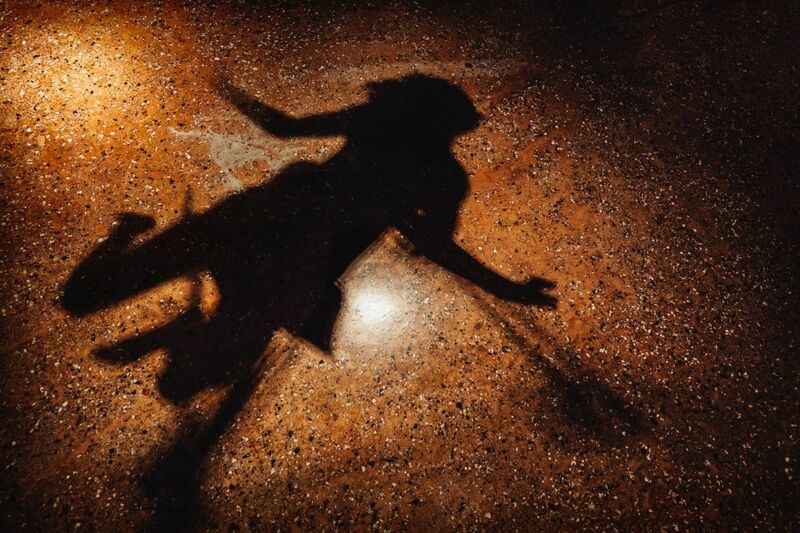 She develops interactive and site-specific performances, as well as short dance and documentation videos. She is inspired by daily life and every detail related to human interaction with technology and nature, gender roles and diversity, social and political issues. 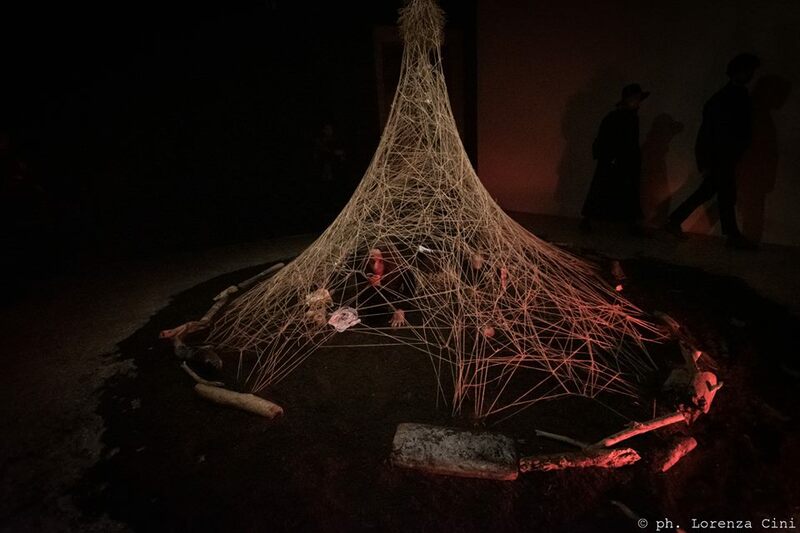 In search of a holistic way to express her vision, and based on a rhizomatic approach of making art, she collaborates with artists from different fields and cultural backgrounds. She is interested to discover how tradition can influence a contemporary dance and performance setting, or to become a rich source for socially engaged art projects. 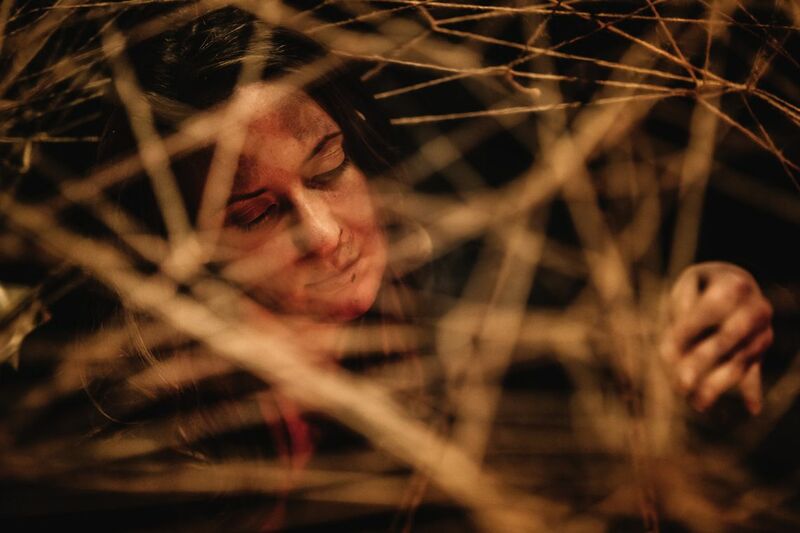 She created and curated the first edition of the mini-festival "Interconnectivity & Live Art" at Lincoln Performing Arts Centre. 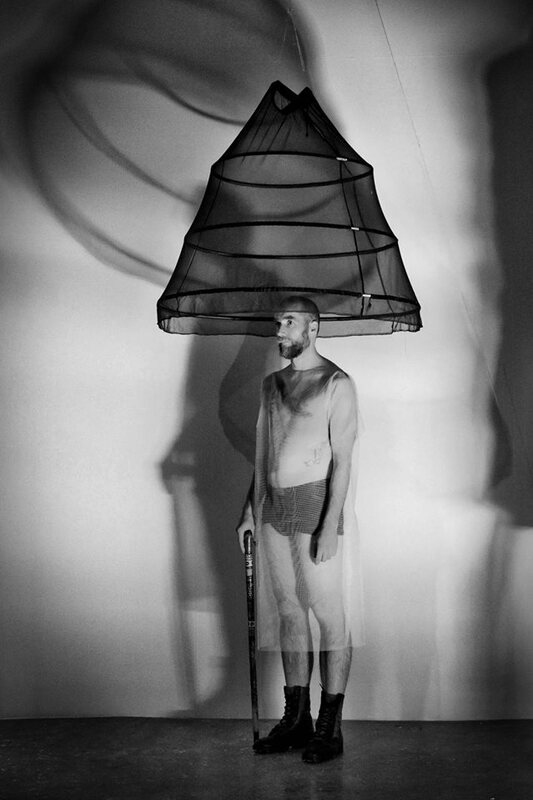 Pavlos Kountouriotis is a performance artist, choreographer and performance theoretician. He has a Ph.D. from the University of Roehampton and studied at P.A.R.T.S. (research) and Laban (MA). He has worked with seminal choreographers and live artists, and he is an artist of the sweet and tender collaborations. 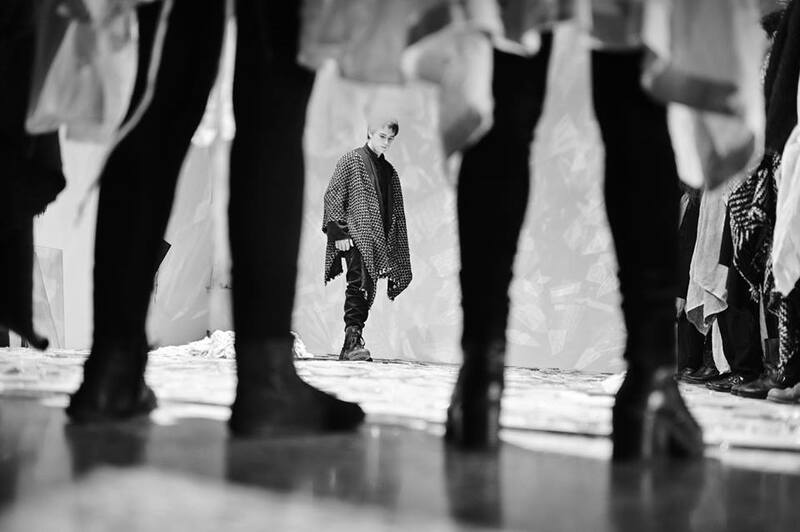 His own performance work has been presented in several countries in Europe and US. He is the artistic director of GNARL fest, the East Midland Platform for International Live Art. 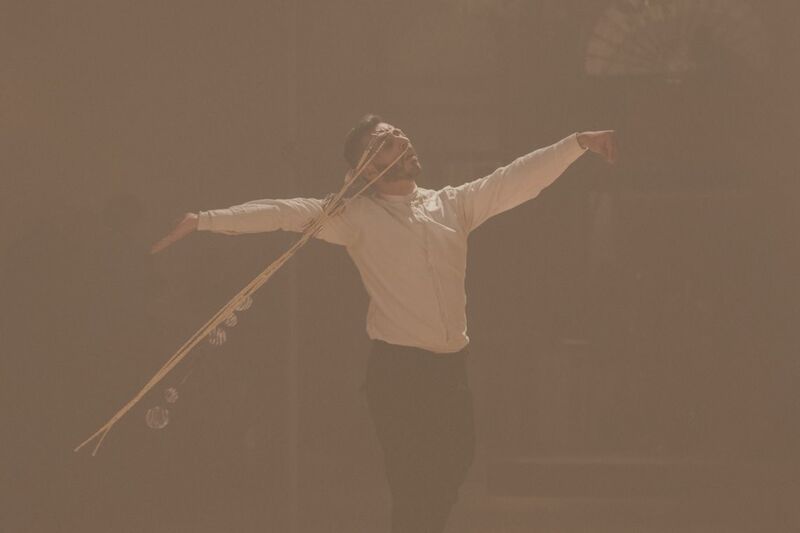 Pavlos is currently the resident artists at K-3, Kampnagel in Hamburg, at the Seoul Dance Center in Korea, a visiting senior lecturer in choreography at the University of Malta and a professor in dance, and artistic director of the postgraduate research studies at SOZO visions in motion. 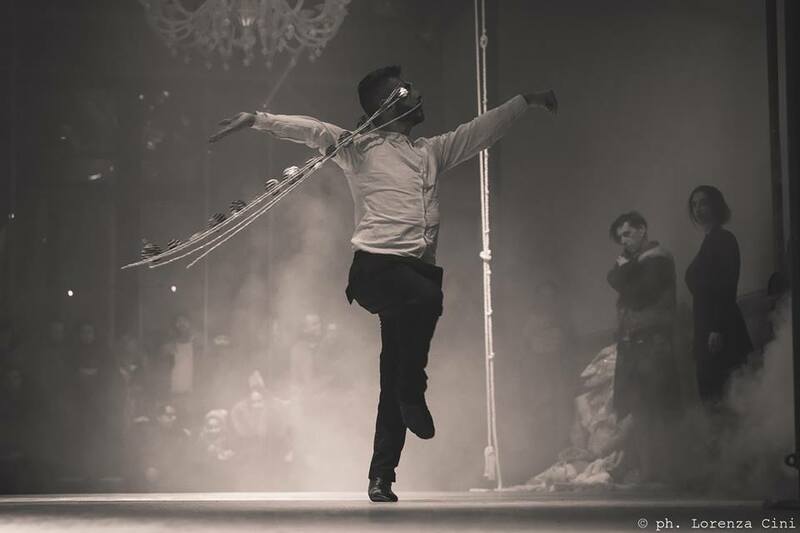 He also has written and directed as the programme leader of the MA/MFA choreographing live art at the University of Lincoln. Ashley-Louise McNaughton is a Scottish artist currently based in London. Through actions, movement, and sound, she explores the (mental, physical and spiritual) body in a tactile and sensorial response to space, time and natural materials. By exploring and advocating that which lies in between she seeks to elicit the strength in vulnerability, the hope withing hopelessness, the resilience to struggle. Considering and confronting personal, social and political truths, conflicts and traumas, she enforces resistance and urgency through unconventional dialogues, allowing for transformation to occur. 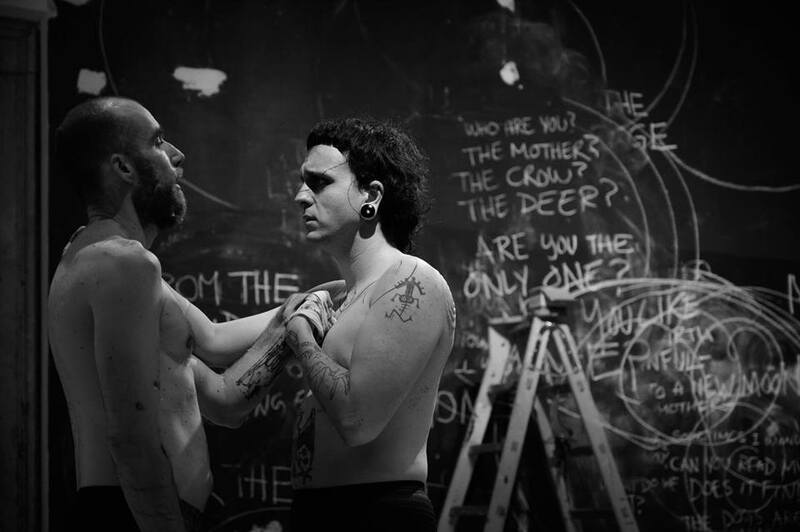 Canadian artist Enok Ripley explore through their performances and rituals the dissonance of body images to their environment in society. These are bodies that deal with injustices and resist normative limits. Recurring themes in their work are body rituals, religious iconography, and objects that are often overlooked, forgotten, subjugated or rejected. 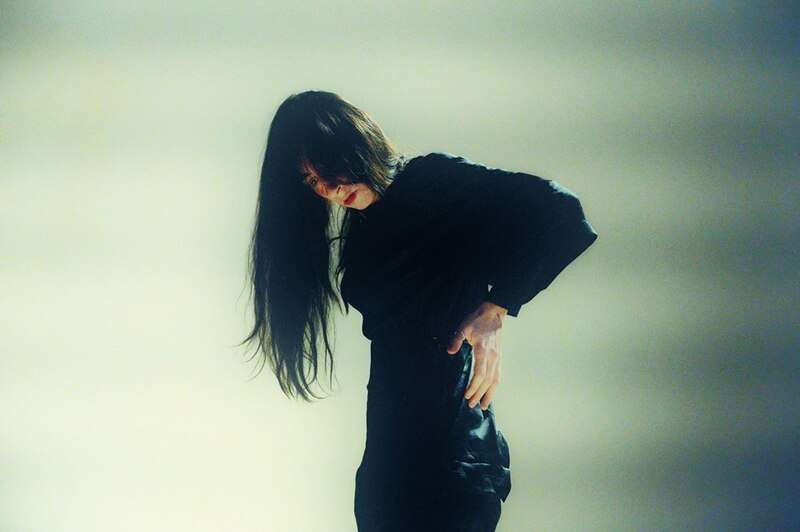 Berlin-based, Italian dancer, performer, and choreographer Sara Simeoni creates works for dance-theatre, film, and exhibitions. She graduated from the National Dance Academy in Rome, attended the Accademia Isola Danza in Venice under the direction of Carolyn Carlson, and studied with numerous renown choreographers such as Nigel Charnock, Rehinild Hoffman, Ismael Ivo, Susanne Linke, Ted Stoffer, Sebastian Prantl, Wim Vandekeybus, David Zambrano, and others. Her artistic practice intertwines the energy of movement and the power of the image, forming a convergent choreography. Her focus is to put the body in a constant state of urgency, a "nowness". Presence and energy are fundamental elements for her that give the body the freedom to create a new dynamic in relation to space and time. 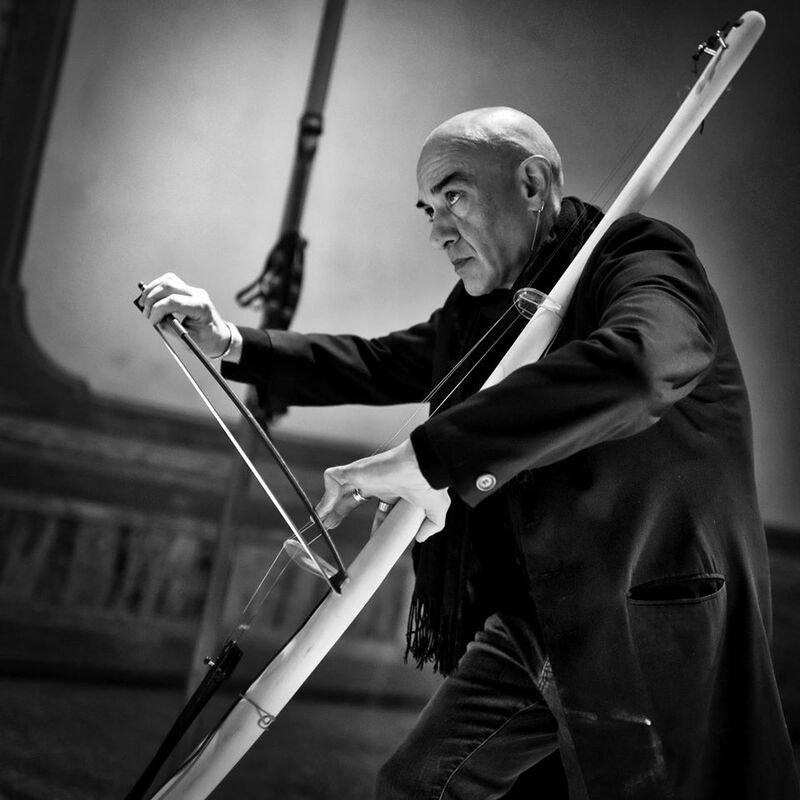 Italian artist Mauro Sambo straddles the fine lines that separate music, sculpture, drawing, installations, and live performances. He plays wind instruments, hits skins, tortures his double bass, and is interested in playing and manipulating electronic instruments. He has released several albums, in some he plays alone, in others he collaborates with musicians from all around the world. His daughter Matilde Sambo graduated in Visual Art at the IUAV University, Venice, and is currently an artist-in-residence at Via Farini Residence, Milan. She works mostly with video and photography, and sound is an important element of her practice. Her central topic of research is perception: taking the idea that "your perception is not my reality" as a point of departure, she develops it further through the study of the human body in relationship with perceptual senses. Her work can be considered as a hybrid between cinema, documentary and video art, through which she investigates how one draws meaning from the world, and how the senses and reality function differently in every form of life on the planet. 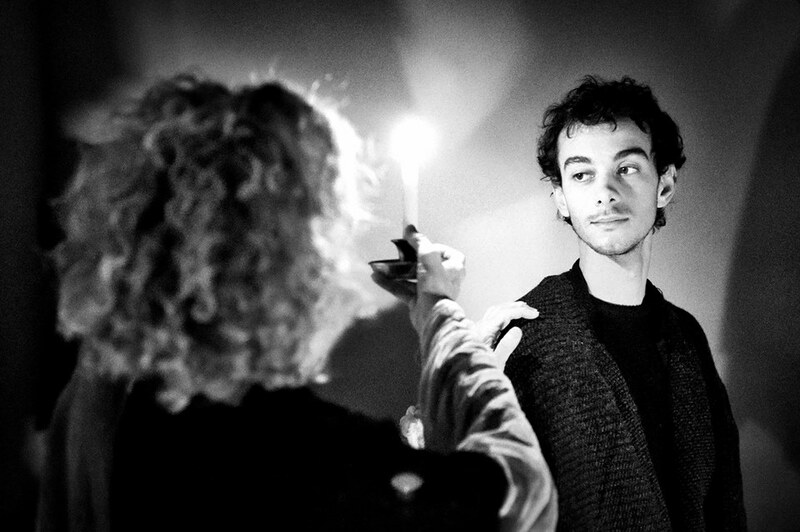 Marcel Sparmann is a German visual artist, working in performance art, theatre, dance, public art, and installation. 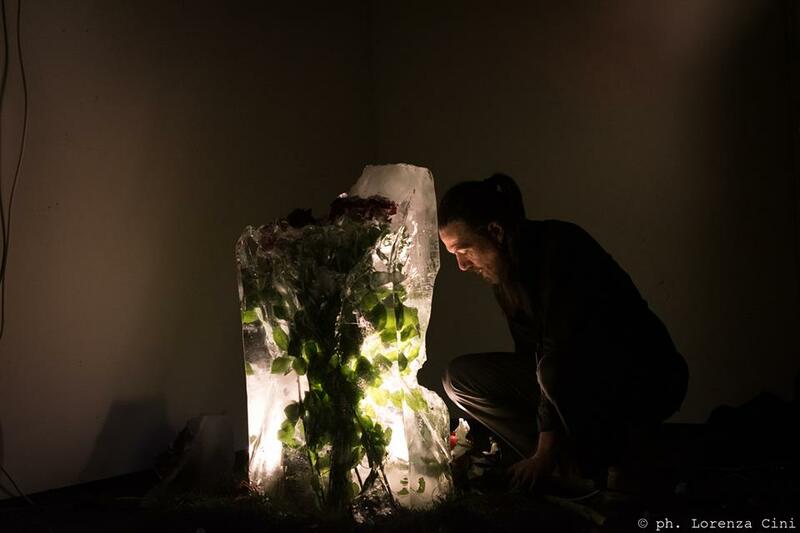 After having studied Theatre, Performance Art and Environmental Art in Germany and Scotland, Sparmann now works internationally, both as artist and researcher-in-residence. 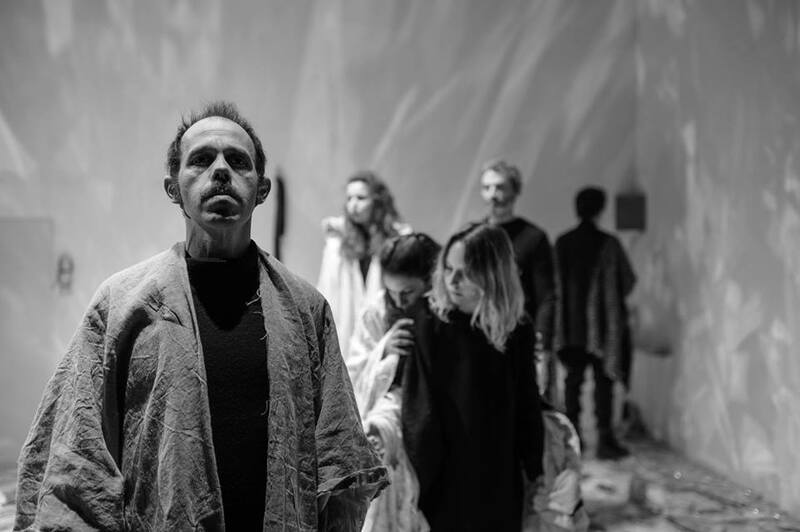 He is a guest lecturer for Performance and Experimental Theatre including theatre pedagogy in Europe, North and South America, China and Japan. Currently, he holds guest teaching positions at several German universities. He is the co-founder and director of the festival Kaffee&Kuchen Action Art in Weimar, and the Performance Netzwerk Thüringen. Susanne Weins is a German vocal artist, voice trainer and certified Roy Hart Voice teacher. With backgrounds in classical and Extended Voice, her work encompasses approaches to a variety of vocal techniques, experimental voice work and the knowledge of linguistic teaching and research. Through a targeted use of the body and movement, she seeks the greatest possible flexibility of the voice. Her performances circulate around the notion of "how to do things with words". She is the founder and director of the Atelier Performative Künste, a voice formation and performance production space in Düsseldorf (DE). Sabrina Bellenzier is a visual artist and cultural operator based in Venice, IT. 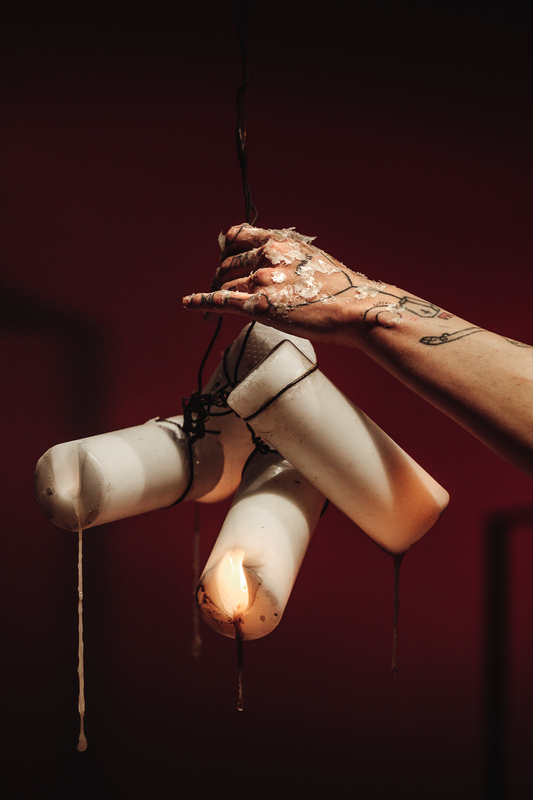 Her artistic practice mixes photography and performance art, exploring the common ground connecting the two disciplines, both a ritual, alchemical process of transformation and revelation. She is interested in investigating and re-creating mythologies (personal and collective) and in researching hidden realities. As a cultural operator, she is focused on the concept of space, private and common, and she is interested in working on projects that are community-based and site-specific, that can create connections and spaces of freedom, using an approach based on activism and self-production. 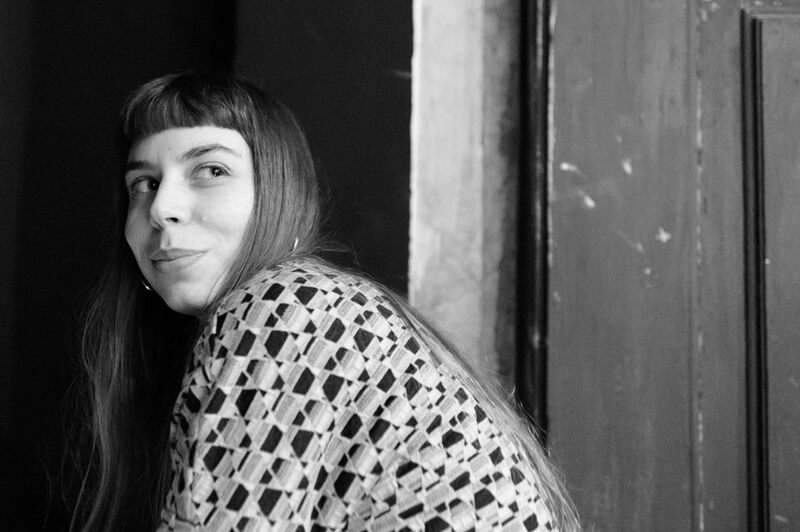 Since 2014, she is a collaborator of the Venice International Performance Art Week, and an active member of Studio Contemporaneo non-profit Cultural Association. Gülbeden Kulbay is a performance artist and community worker based in Gnesta, Sweden. Giovanni Dantomio is the co-founder and Head of Media and Technologies of We Exhibit, core-partner of the Venice International Performance Art Week since its inception, as well as the president of the non-profit Cultural Association Studio Contemporaneo. Paolo Bonato, Andrea Cappalletto, Alessio Cavallucci, Liu Molle, Federica Marcoleoni, Valentina Milan, Cecilia Peiré, Giulio Peiré, Gea Polimeni Imbastoni, Anatolij Tegon, Chiara Trivelli, Cristiano Vignotto, Giorgia Zava. Assistance: Gülbeden Kulbay. In the ancient Gaelic tradition, there is a beautiful understanding of love and friendship. One of the fascinating ideas here is the idea of soul-love: anam cara. The term anam means ‘soul,’ there where cara means ‘friend,’ ‘dear’ or ‘beloved.’ Anam corresponds to the Latin anima (from animus, “spirit”) and to the ancient Greek anemos: ‘wind,’ ‘breath,’ with which it shares the stem an- (‘to blow,’ ‘to breathe’) also present in Sanskrit e.g. in an-imi (‘I [am]- breathing,’ or in an-asa ‘breath’). The proto-Celtic ana- means ‘to remain,’ and is supposed to have evolved from ‘breath’ into ‘to pause,’ and then into ‘to remain.’ Cara derived from the proto-Celtic kar-o (‘love’). Same as the Latin carus (‘precious’), it appears to refer to the root ka- (‘desire’) presents also in the Sanskrit kama (‘love’), and from the same term kar-o, origins karant- (‘friend’). In English, the corresponding 'dwell' originates from the proto-Indo-European root dhwel-, extended from the root dheu- (‘dust,’ ‘cloud,’ ‘vapour,’ ‘smoke’) and related notions of ‘defective perception or wits,’ as well as to the Old English gedweola ‘error,’ ‘heresy,’ ‘madness.’ The sense shifted in Middle English through ‘to hinder,’ ‘to delay,’ to ‘to linger’ (c.1200, as still in the phrase ‘to dwell upon’), and to ‘to make a home’ (mid-13c), the latter reminding also of the Latin word demorari (‘to delay,’ ‘to linger’) that today means abitare (‘to dwell’) more or less permanently in a place.